We built this firm for you. Brock has over 19 years of professional experience in the financial industry and serves as Miracle Mile Advisor’s Chief Executive Officer and the Head of the firm’s Investment Committee. Prior to founding MMA, he spent thirteen years developing strategic investment solutions for high-net worth families and foundations with liquid assets in excess of $10 million at Morgan Stanley & Co. and Bel Air Investment Advisors. His primary responsibilities included portfolio construction, evaluation and management, quantitative and qualitative selection of third party equity and fixed income portfolio managers and new business development. Before entering the investment advisory business, Brock was a Vice President in the Energy/Technology Group with a Los Angeles-based boutique investment banking firm, Brockett Tamny & Company. 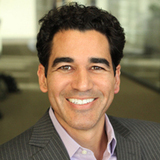 Brock earned his Bachelor of Arts degree from Stanford University and a Masters of Business Administration from Northwestern University’s Kellogg School of Management, with concentrations in Finance and in Entrepreneurship and Innovation. In his free time, Brock is an active participant in the Big Brothers program and he currently serves on the Board of Directors of Big Brothers/Big Sisters of Greater Los Angeles. In addition, Brock is very active in civic causes and was selected as an inaugural member of the California Community Foundation’s Ambassador Within program, aimed at civic leadership and community building enterprises in Los Angeles. His interests include golf, water sports, and dancing with his daughter. Brock currently lives in the Los Angeles with his wife, Susan, his daughter Frankie, and his son Lincoln. Miracle Mile Advisors is a leader in providing independent investment advice to high net worth families and businesses nationwide. As one of the fastest-growing independent registered investment advisors in Los Angeles, the firm is committed to developing tax-efficient portfolios that benefit from the lower cost and liquid characteristics of Exchange Traded Funds (ETFs) through active indexing.